ROG Vulcan PRO was forged to follow the path set by ROG Vulcan ANC. Retaining advanced active noise cancellation technology specifically designed to eliminate low frequency computer fan noise, high frequency environmental noise, and human voice from external sources, the ROG team researched and created Vulcan PRO with the exclusive ROG Spitfire USB audio processor. It allows gamers to experience precise audio positioning and enhanced surround with no driver install needed, perfect for LAN parties. ROG Vulcan PRO adds the ROG Spitfire USB audio processor, which works at the hardware level and requires no driver install. Its design contributes to quicker setup in gaming events, and complies with the most professional venues, which prohibit the installation of additional drivers. The ROG Spitfire deploys the powerful hardware digital signal processor to offer such driver-free convenience, especially perfect for LAN parties. The ROG Spitfire provides gamers with easy-reach access to game-enhancing sound technologies: FPS EQ for better audio positioning in first person shooters, 7.1 virtual surround, and headphone amplifier. Each has a dedicated one-click on/off button, with no need to enter any software interface. FPS EQ has been developed by analyzing the audio characteristics of several leading first person shooters, with advanced sound algorithms built into the hardware to improve equalization and bring out details with better clarity. Gamers can hear opponent movements, gunfire, call-outs, and other auditory cues with better directional precision, contributing to successful play. The 7.1 virtual surround mode presents lifelike and distortion-free in-game surround. Its design optimizes surround effects originally not programmed specifically for games, resulting in more natural and balanced enveloping in-game audio. The ROG Spitfire’s integrated headphone amplifier features ROG engineering that boosts in-game sound detail, and has been tailor-made to match the tonal performance of ROG gaming headsets, as opposed to off-the-shelf headphone amplifiers. Noise ranks as one of the leading issues for pro gamers, often causing distractions and leading to the wrong decisions – which in turn lower win ratios. 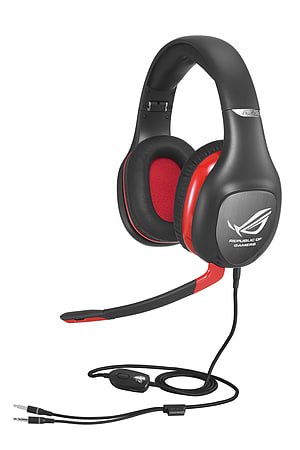 The ROG Vulcan PRO features brushed metal headphone side covers that offer a new style as well as better strength. It offers gamers active and passive noise cancellation technologies, meticulously designed by ROG engineers to ensure better gaming success and immersion. Active noise cancellation (ANC) technology detects ambient noise and projects reverse sound waves to cancel it out. Vulcan PRO, featuring the world's only ANC technology created specifically for gaming, filters low frequency emitters such as PC fans, with up to 85% of noise blocked. 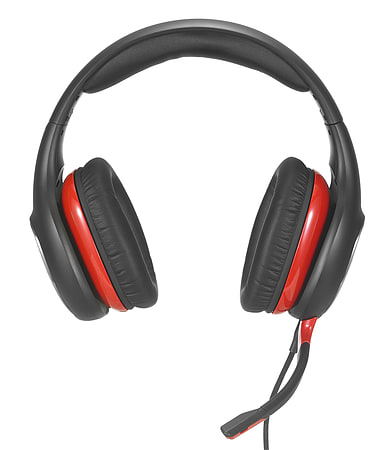 Vulcan PRO features passive noise cancellation to isolate up to 30dB of high frequency disruptions such as environmental noise and human voice, two of the main noisemakers in gaming events. Even tiny noises may mask crucial sound details, so make sure your gaming gear helps you fully immerse in gameplay and catch every sonic clue to make the right call. ROG designers carefully chose large high quality 40mm neodymium drivers fine-tuned and tested by actual gamers. 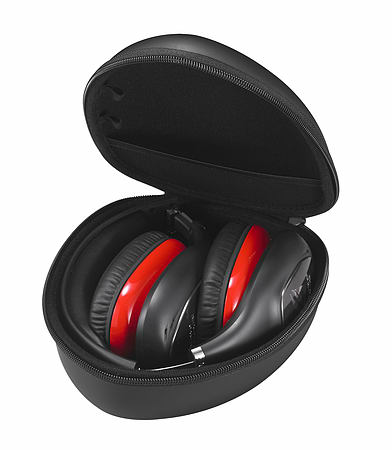 They provide supreme clarity, thundering bass, and extreme low distortion. Powerful and dynamic audio makes the virtual battlefield so real, every action and reflex become lightning-fast second nature. Acting on community feedback, ROG Vulcan PRO uses an extended and more flexible microphone boom for easier angle adjustment. Its new unidirectional driver boasts more sensitive voice capture for clearer in-game communication (-42dB sensitivity), plus the entire microphone assembly can be detached when not in use to save space and further increase freedom of movement. Ultra-soft over-ear cushions utilize highly breathable Japanese protein leather with memory foam, generating greater comfort over prolonged sessions with no ear fatigue. 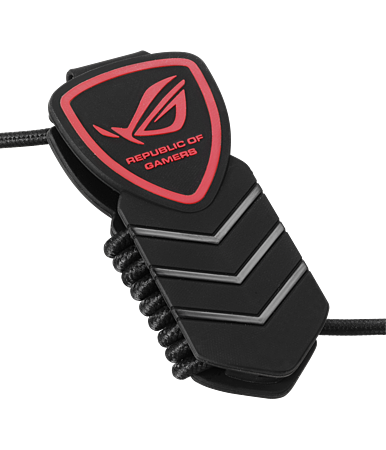 ROG Vulcan PRO employs a durable and detachable braided cable, enabling easy wire management and eliminating unsightly entanglements. It uses emergency detachment, unplugging neatly and safely if you stand up suddenly while gaming with the headset on, preventing the unexpected pull from sending your precious hardware tumbling to the floor. ROG Vulcan PRO arrives in a tough touring case for safe and neat mobility as you travel to gaming events. Just put it in your bag and never worry about arriving at a major event with broken up headphones ever again. ROG Vulcan PRO fractures stylish cable organizer for easier, hassle-free cable management.